When it is established that an individual does not have the mental capacity to make decisions in their own best interest, a deputy either volunteers or is appointed by the government to look after that individual's health and well-being, their financial resources, or in some cases both. A deputy is responsible for making decisions in the best interest of the person they are looking after, in order to provide them with the safest and happiest life possible. 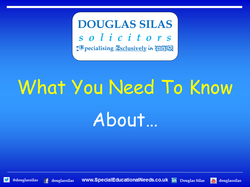 As defined by the Mental Capacity Act of 2005, mental capacity is someone who is "unable to make a decision for himself in relation to (a) matter because of an impairment of, or disturbance in the functioning of, the mind or brain." There are many different kinds of conditions that can effect mental capacity, dementia, as well as several different types of SEN, including severe autistic spectrum disorder and severe Heller's syndrome. When it is determined that someone does not have the mental capacity to make their own decisions,it becomes necessary for a deputy to handle their affairs. The Mental Capacity Act states that "a person must be assumed to have capacity unless it is established that he lacks capacity," and that "a person is not to be treated as if he is unable to make a decision unless all practicable steps to help him do so have been taken without success." Together, these statements mean that a deputyship is only to be used as a last resort, to help those who are unable to understand the consequences of their actions or the alternatives laid out before them. Anyone over the age of 18 can apply to be a deputy, provided they are approved by the court. For financial affairs deputies, a potential deputy must prove they are capable of managing money, and in both cases, potential deputies are required to explain their relationship to the individual they want to represent. A potential deputy must prove to the court that they plan to act in the best interest of the individual whom they are representing through an extended application process. In some cases where no one is available, the state can appoint a deputy from an approved charity or law firm. All deputies are supervised by the Court of Protection and must pay a bond to ensure that they are properly taking care of the person they are deputy for. When a child turns 16, they become a young person. This transition is significant because at 16, a young person is now responsible for making decisions regarding their health and welfare. For children who have statements or EHC plans, they inherit responsibility for maintaining and continuing those provisions from their parents. Some young people with SEN may not have the capacity to understand the best choice for their future. In this case, the deputy could represent the young person at annual reviews, meetings and SEND tribunals to ensure they get the provisions they need.